For the competitors, the National Masskrugstemmen Championship Weekend in New York City is an experience like none other. As fun as it is, it can also be a little stressful with the events scheduled, especially on the day of the competition. To help make things a little easier, we put together a little map of the key locations that you'll need to be able to find as a competitor or guest of a competitor. There are only a handful of locations, but they're the locations you really need to know. We made this map to be mobile-responsive, so if you have the Google Maps app on your phone and you tap the map below from your phone, it should open Google Maps with these locations tagged as you see here. You can find your location relative to them and then get where you need to get. The Google Maps app will remember this particular map too, if you tap the three-bar equal sign thing at the left of the search bar, go to Your Places then Maps and there should be a link to the map there which you can tap to get these pins back on your map. So you can do it in advance to prep for the weekend and the link will stay there until you delete it. Below the map, we added some other basic schedule info to help you know where you should be and when. Friday night there will be a VIP reception with drinks and snacks for the competitors and their guest at Hofbräu Bierhaus NYC. This goes from 5:00-7:00pm or so and after that you're free to do whatever you want in the city, but eventually you'll want to make your way back to the Pearl Hotel. Both of these locations are on the map for you. Handy? Yeah. Competitors will need to make there way from the hotel over to the parade staging area for 11:15am to check in, get further instructions and get their official competition shirts. Don't be late or people will get mad at you. Meet the rest of the competitors and get started with trash talk and other such mind-games at East 69th Street between 5th Avenue and Madison Avenue. The parade goes on until like 3:00pm, but as a competitor you'll only be on the float for about an hour, after which you'll find yourself near the corner of Fifth Avenue and East 85th Street, just north of The Metropolitan Museum of Art. It's probably a nice place but this is no time for arts or culture because there's beer and sausage to be had. So start heading back down the parade route on Fifth Avenue along the edge of Central Park. When you get down to East 72nd Street, turn into the Park and stay to the left when the road splits and you'll basically be there. 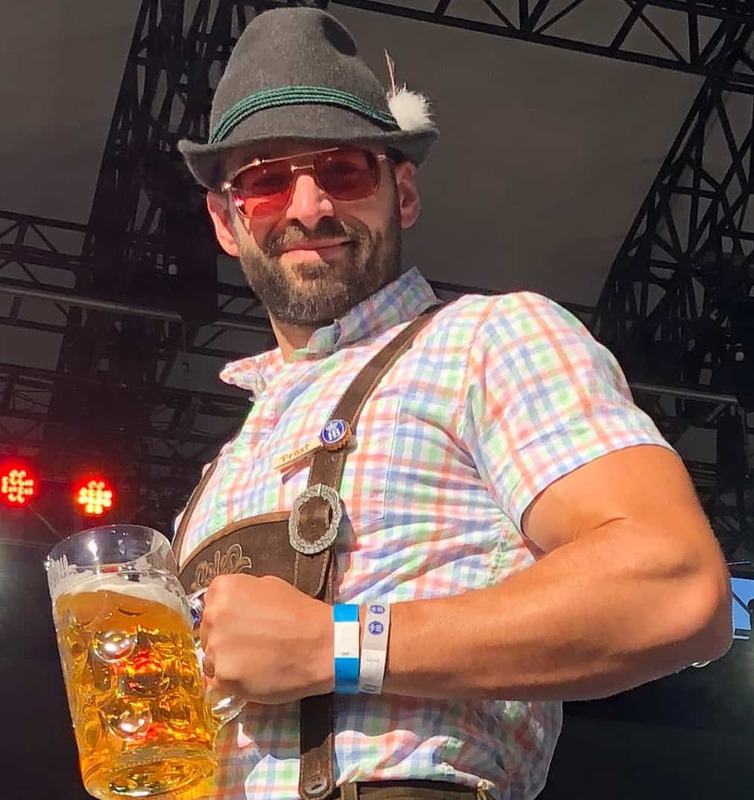 And you'll be just in time too, because at 1:30pm, the gates of Rumsey Playfield/SummerStage will open up like the gates of heaven to welcome you to German-American Oktoberfest NYC! The festival goes from 1:30pm - 7:30pm, and at approximately 4:00pm, the Masskrugstemmen National Championship begins! The women's competition is first, followed by a brief equipment reset and then the men's competition! We'll be streaming both competitions live from the U.S. Steinholding Association Facebook Page and the U.S. Steinholding Instagram Feed to bring you all of the action! We'll be posting pictures, videos and updates of the fun throughout the day as well, so stay tuned. Once the competition is over and the last call has been called at the Oktoberfest grounds, the party moves over to Hofbräu Bierhaus NYC for the Oktoberfest After-Party! It's a long but doable walk from the Park to the Bierhaus if you want to sober up a little bit or a short Uber/taxi ride if you want to stay a little drunk, but either way, get there by 8:00pm because that's when the ceremonial Oktoberfest keg tapping happens! Everybody lucky enough to be present at that time gets a free round of Hofbräu Oktoberfest. We'll be there to celebrate with some more beer and grab some awesome food, so come join us. We recommend making a reservation because it's a popular spot and this is a pretty sweet event. 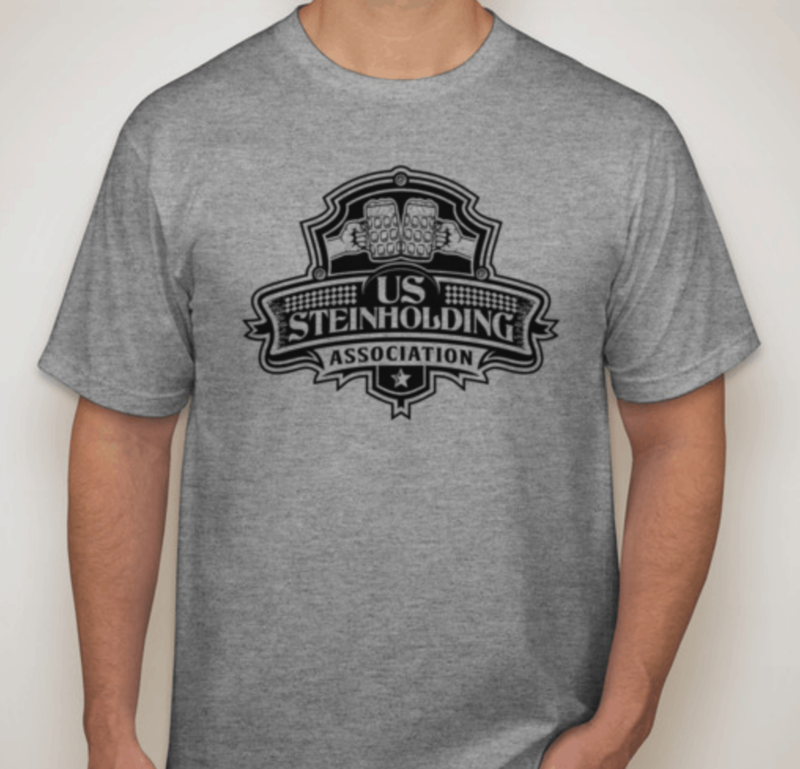 Tell 'em U.S. Steinholding sent you and they'll probably say something like "Uh...what? Ok."
Have a great weekend and we'll see you along the way!